Ontario's finance minister says $1 billion in higher sales and income tax revenues have pushed the province's deficit down to $13.5 billion, but there are economic challenges ahead. 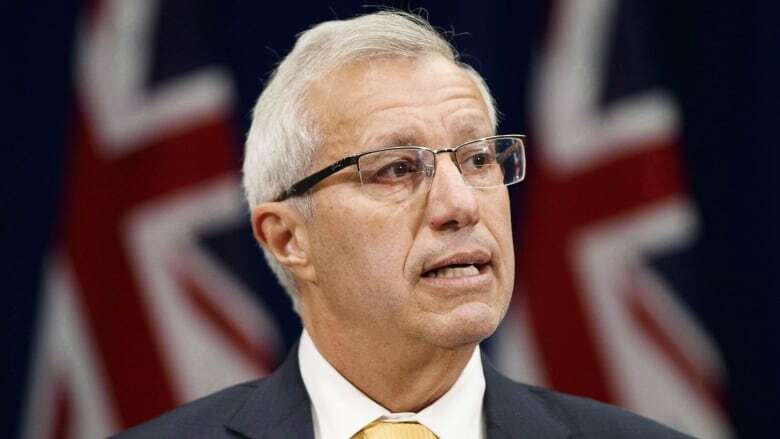 Vic Fedeli released Ontario's 2018-19 third-quarter finances on Wednesday and said the higher revenues show the government's plan is working. Ontario's financial accountability officer has said the deficit is actually about $2.5 billion lower. Fedeli added that the province faces challenges as it continues to compete in the global economy. "The road ahead will not always be easy," he told reporters on Wednesday. "Ontario must be ready to respond to global economic headwinds without being weighed down by crippling debt payments," he said. ​ "Although our economy is doing well now, we must acknowledge both global and domestic risks and plan accordingly. This includes acknowledging our rising debt interest burden. 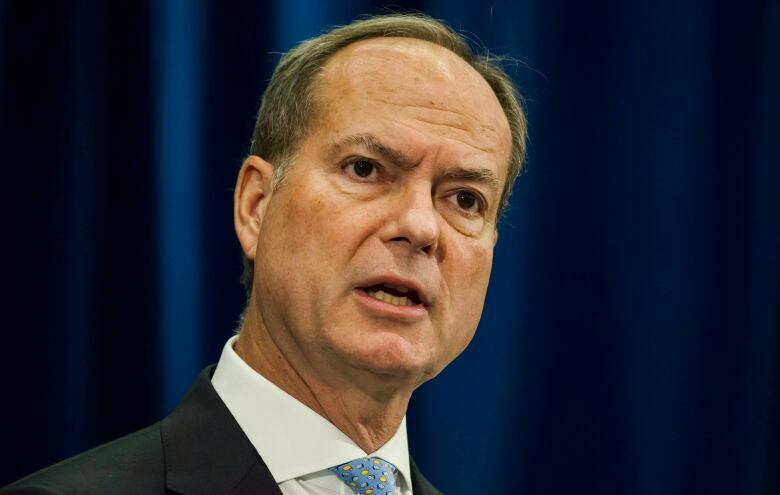 We will pay $12.5 billion in interest this fiscal year." Opposition politicians have accused the Progressive Conservative government of inflating the deficit so it can justify cuts to programs and services. Fedeli said the next budget will show a path to balance, though he wouldn't specify if the government will eliminate the deficit within its four-year mandate. Asked when the next provincial budget will be unveiled, he said: "We'll be announcing the budget date when we're ready." Treasury Board President Peter Bethlenfalvy said he has directed ministries to limit spending until fiscal year end of March 31. The government is determined to bring in "responsible fiscal management," which it considers its number one priority, he said. "Already, we have frozen unnecessary discretionary spending, placed restrictions on travel, meal and hospitality spending, instituted a hiring freeze — with the exception of essential front-line services. We paused executive compensation increases in the broader public sector, pending a substantial review. And we released the public accounts." Bethlenfalvy said the government is determined to change the culture at Queen's Park to implement "more rigour and accountability" in spending decisions.